This is a companion volume to the beginner and intermediate course. Through eleven studies inspired by various forms of the Blues* this third volume will teach you more guitar tricks and technique that will take you to the advanced level. 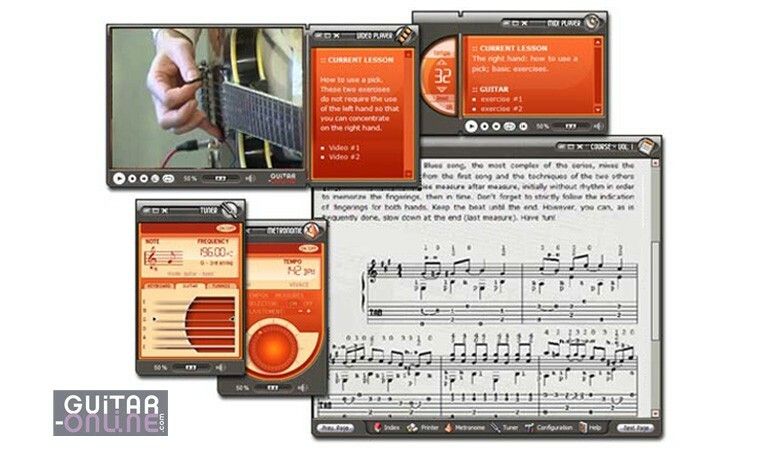 (*) The cyclic structure of this musical style produces pieces which are easy to remember, however the majority of these songs are not meant for beginners. These studies are inspired by various forms of the Blues such as: major form, minor form, finger-picking, played with a pick, lots of Hammering-On, Pulling-Off and Slide, scales, technical exercises, etc. 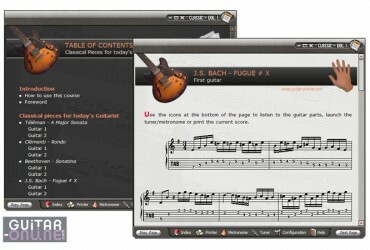 This CD-ROM is the obvious sequel to both volumes one and two of this guitar course. 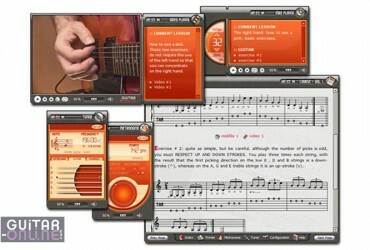 You must know the fundamentals that were tought in these previous guitar tutorials. 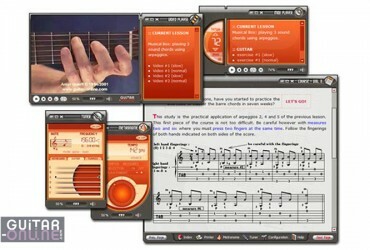 For instance you need to know how to move one or two fingers of the left hand at the same time, how to play with a pick, how to play with the fingers of the right hand (thumb, index, middle finger and ring finger), how to play barre chords, hammering-on, pulling-off and slides, how to play straight and shuffle beats, etc.